Charles Dickens (1812-1870) enjoyed fairy tales as a youth, particularly “Jack and the Beanstalk,” “Little Red Riding Hood,” and stories from One Thousand and One Nights. 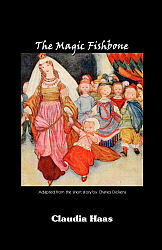 In his long career as a writer, Dickens wrote only one fairy tale for children, “The Magic Fishbone,” which was included in a collection of four tales entitled “Holiday Romance” and published in a children’s magazine in the United States in 1867. “Holiday Romance” was published in England in 1868 and later appeared in the 1874 collection “Edwin Drood” and Other Stories.